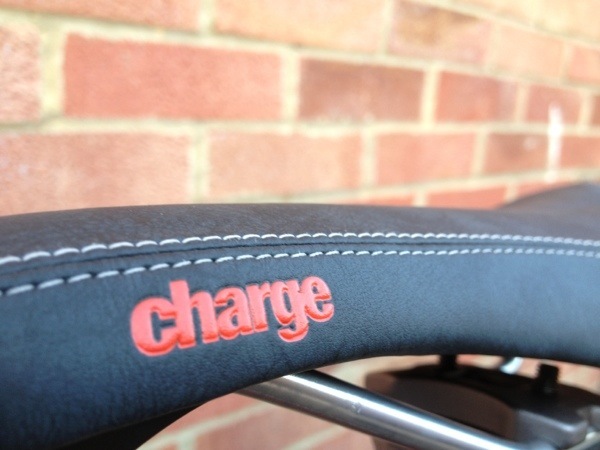 Your seating position and quality and comfort of your saddle is critical when cycling. When mountain biking the ability to move the saddle position while on a ride is more important than I would ever have imagined. Many of you will already know this but saddle height is important so that you get the correct amount of extension in your legs. I don’t want to be called up on giving incorrect advice so go and seek proper advice from your LBS if in doubt, but basically while pedalling and sitting you don’t want your knees hitting you in the face or be stretching for the pedals on the downward stroke. Somewhere in between is more efficient, better for you and less tiring! Go and get some advice. Some basic skills in mountain biking involve shifting your weight around the bike. On a straight climb you want to be in your saddle with a seat at optimum height to give you maximum pedalling efficiency. You won’t want your legs compressing too much or stretching too far – it will make the ride harder than necessary. Add some steps and obstacles and you will want to be out of that saddle and bouncing and hopping the bike up and over obstacles. Suddenly you come to a steep decline, now you need to be out of the saddle and not standing up right but hanging back to adjust your weight so that it is always centred over the bottom bracket. This drives both wheels equally in the ground and give you maximum traction and control. Try sitting on a moderately high saddle at this point and you will find yourself looking over the bars at the front wheel and any bump of the rear of the bike could tip your balance over those bars! So you drop the saddle and this is where the dropper post comes into its own. Rather than compromising on saddle position trying to find a middle ground that will work for climbs and for steep descents, or getting off the bike and adjusting the height with the seat clamp, you can simply adjust the height on the fly with the press of a switch of squeeze of a lever. I have started at the entry level to see just how much this addition to my setup can help my riding. 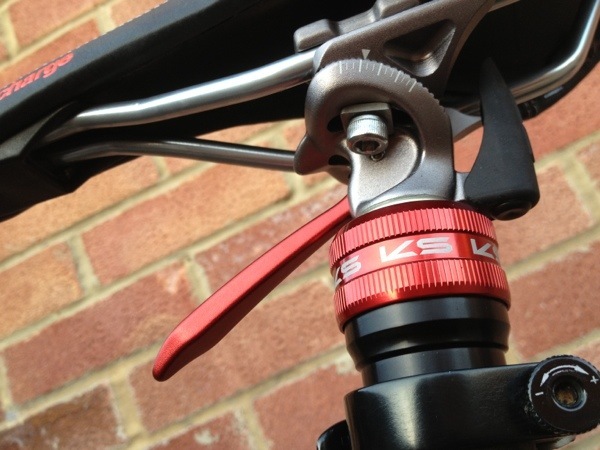 At £120 the KS Dropper Supernatural post is actually a bargain, as you can pay upwards of £300 for a dropper post with a bar mounted control. Oh and the Charge Spoon is widely reported to be one of the best cycling saddles available, my Fizik Gobi (while also very popular) has been comfy but has now seen much better days and its time for a change. Be interested how you get on with the dropper. That’s a vary sensible price! That will be next step. The offer was for post only, remote kit is about £50 and I will get one sooner or later.